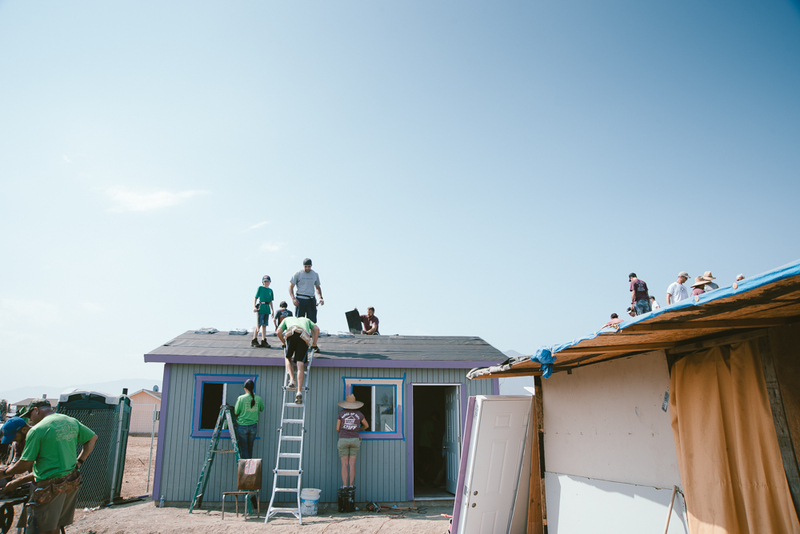 'After the first day of our two day, Homes of Hope build, the father of the family that was receiving a home, had a dream. While sleeping he dreamt that he awoke and went outside and realized that the Home of Hope that was in the process of being built was no longer there. The father felt hurt, disappointed and confused. A man approached him and asked, "How do you feel?" He told the man, "I feel so hurt and disappointed; frustrated and even upset." The man replied, "That is how I feel when my sheep are lost. Now go back to sleep." Then the man, after returning to his shelter, dreamt that he woke-up and went outside again to find his new home had returned, he was so happy! The same man walked up to him again and asked him, "How do you feel?" The father said, "I am so glad and excited because my house has returned!" The man responded, "This is how I feel when my lost sheep are are found, many sheep will come to this home." Jesus had met with this man through a dream, to share His heart and to catch his attention. What a beautiful God we serve that He seeks relationship with us. We love that we get to be a part of giving these families, not only a simple structure, but a tangible representation of God's love and heart for relationship with his people. Interested in bringing a team to participate in a build? Check out our website, HERE for more information!